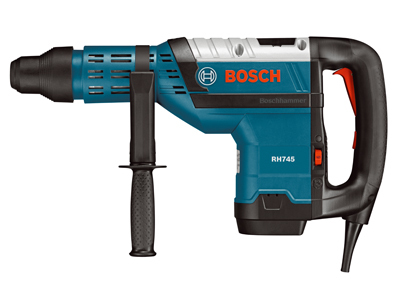 The new Bosch RH745 1-3/4 In. 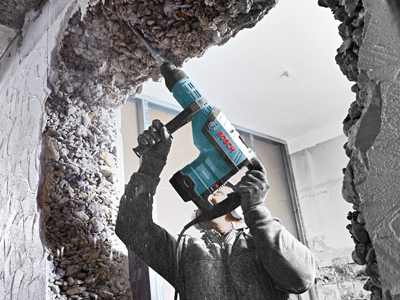 SDS-max® rotary hammer features best in class drilling and chiseling performance with 7.6 Ft.-Lbs. Impact energy (Penta). 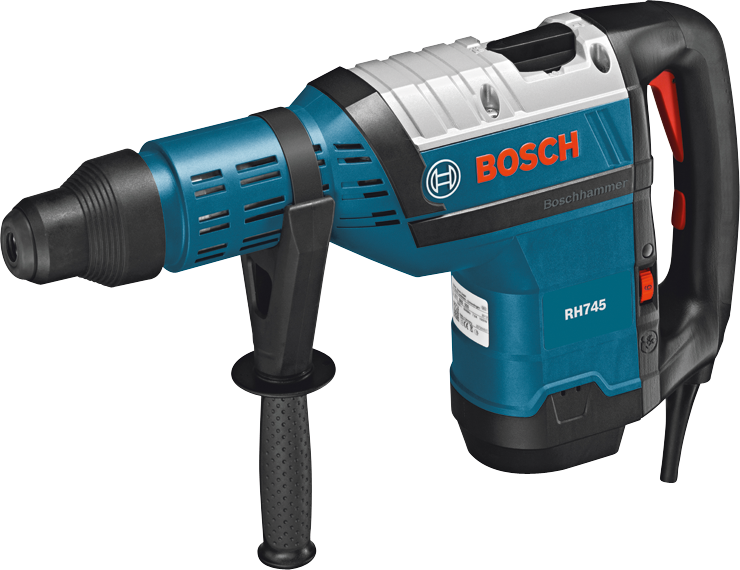 The hammer features 2 modes of operation. 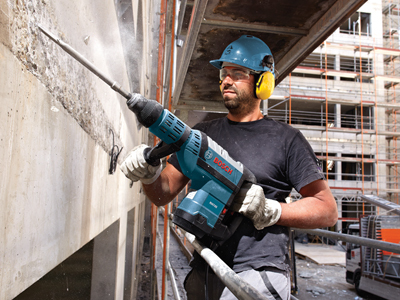 Rotary hammer or hammer-only and a variable speed dial for controlled drilling and chiseling applications. 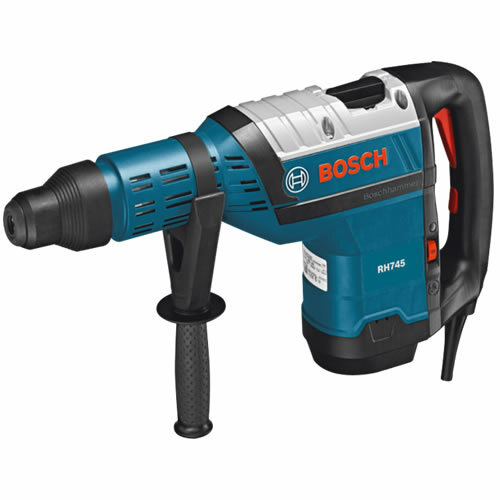 The tool also features the Vario-Lock function. This allows the chisel to be rotated into 12 different positions to optimize the working angle when used in hammer only mode. Max. 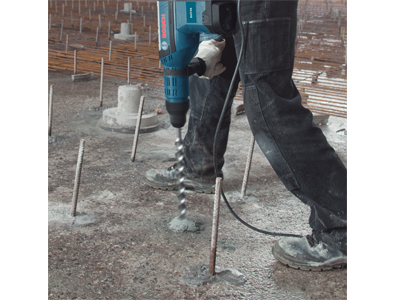 Hole Diameter in Concrete-Core Bit 5"
Max. Hole Diameter in Concrete-Thru Hole Bit 3-1/8"